New Year’s Day brought over 700 people to the Los Angeles Central Corps. Soldiers and friends enjoy a tamale lunch following the United Latino Rally at Los Angeles Central Corps on Jan. 1. Well over 700 people joined General André and Commissioner Silvia Cox for a United Latino Worship Service on New Year’s morning at the Los Angeles Central Corps. Southern California Divisional Commander Lt. Colonel Kyle Smith introduced the Western Territory’s new territorial leaders, Commissioners Kenneth and Jolene Hodder. Kenneth Hodder introduced himself in Spanish and promised that he would continue to improve his Spanish this year. The Latino Youth Chorus performs during the Southern California United Latino Rally at Los Angeles Central Corps on Jan. 1. The General enrolled 29 junior soldiers and over 40 senior soldiers—including one who missed his bus from Santa Ana but made it just in time via Uber—and each agreed to take on the mission of The Salvation Army. The praise and worship team of 22 musicians from three corps got the congregation out of their seats and into God’s presence. They concluded with a “Send the Fire,” and “the fire was definitely there,” Lopez said. 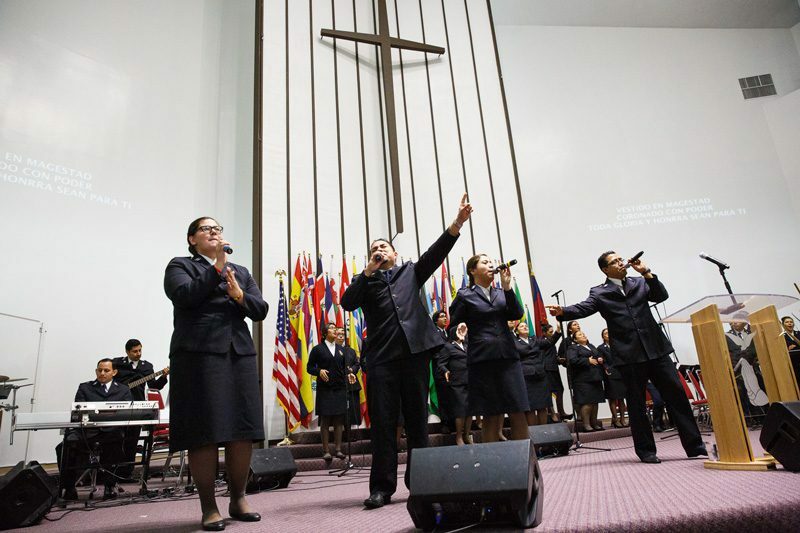 A praise team leads worship during the United Latino Rally at the Los Angeles Central Corps on Jan. 1. Many people—both young and old—responded to the General’s altar call as people renewed their vows with God or accepted Jesus as their Lord and personal Savior. 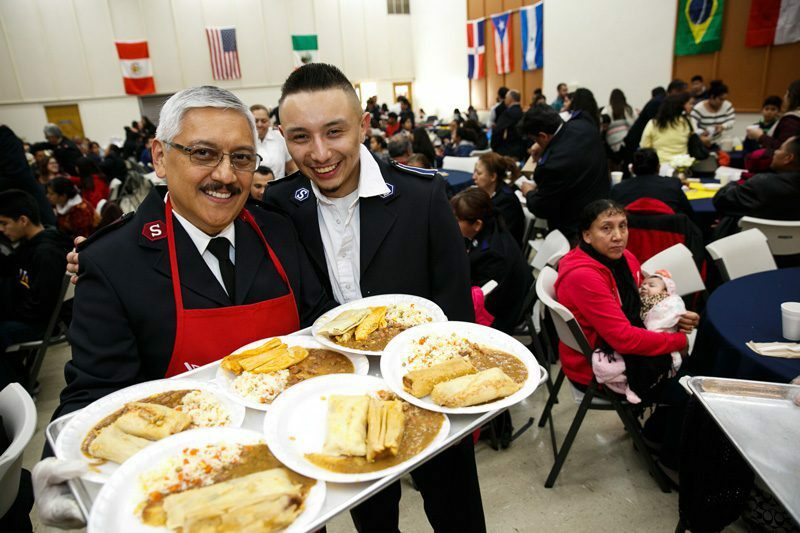 A tamale lunch followed allowing fellowship between Salvationists from around the division.